Lynda not only participated in the first Art Lotto but she won both the Kid’s Choice and the Best Use of Medium awards last year. She has a creative energy that flows through this town and inspires the heck out of me. And she’s an all ’round good human being to boot. In the midst of relocating and sorting through her boxed up life, Lynda continues to make time for creative ventures. 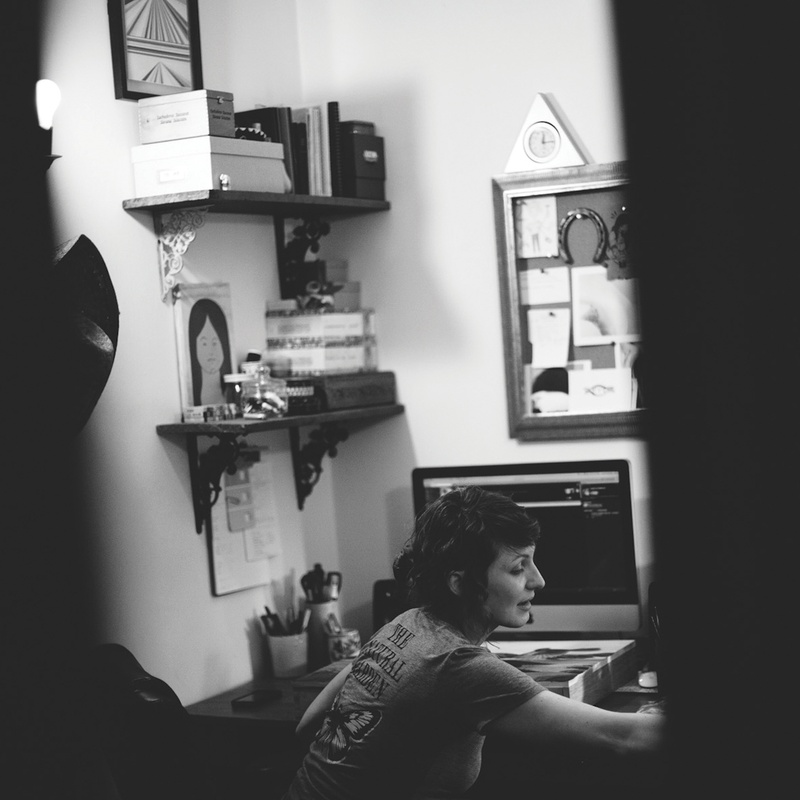 Below, she is caught working in her office/studio on her lotto portrait of Katie Struble. This year, Lynda’s portrait will be created by Sharon Skates of Broadway, Va.